Transport is a huge business globally that carries people to their destinations daily. People always welcome safe, convenient and cheap transport services. Cab service plays a vital role in this segment; additionally it also serves as a source of income for the cab drivers. 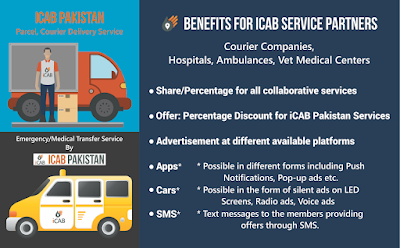 Pakistan had a yellow and black cab system back in the past but in few years international cab services had been introduced and received a massive response by public. In addition to these a solely national Cab service is about to launch in next coming days under the name of iCAB Pakistan. It is a platform which will provide to public a centralized system of all kinds of road transport services including the ignored entities like yellow cabs, ambulances, rescue services, parcel and courier delivery services etc. 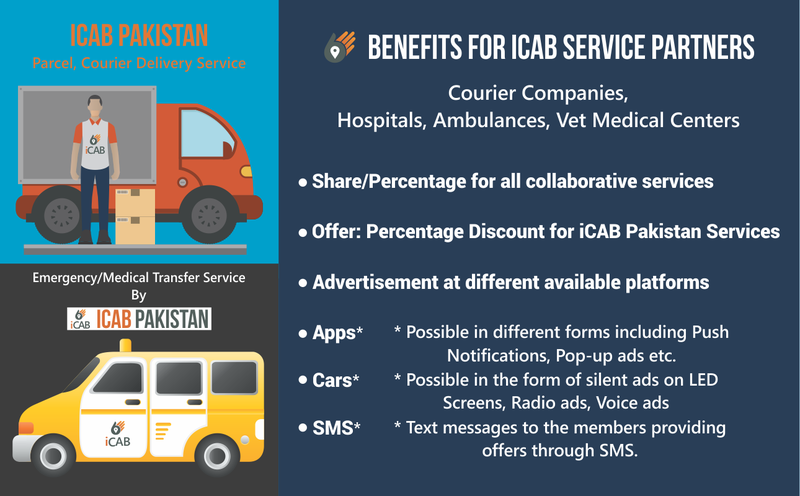 iCAB Pakistan is determined to offer cost effective and technologically advanced cab service with an improved professional touch. The other cab services focused on luxury rides to use as cabs while the existing yellow cabs and car owners were totally ignored. 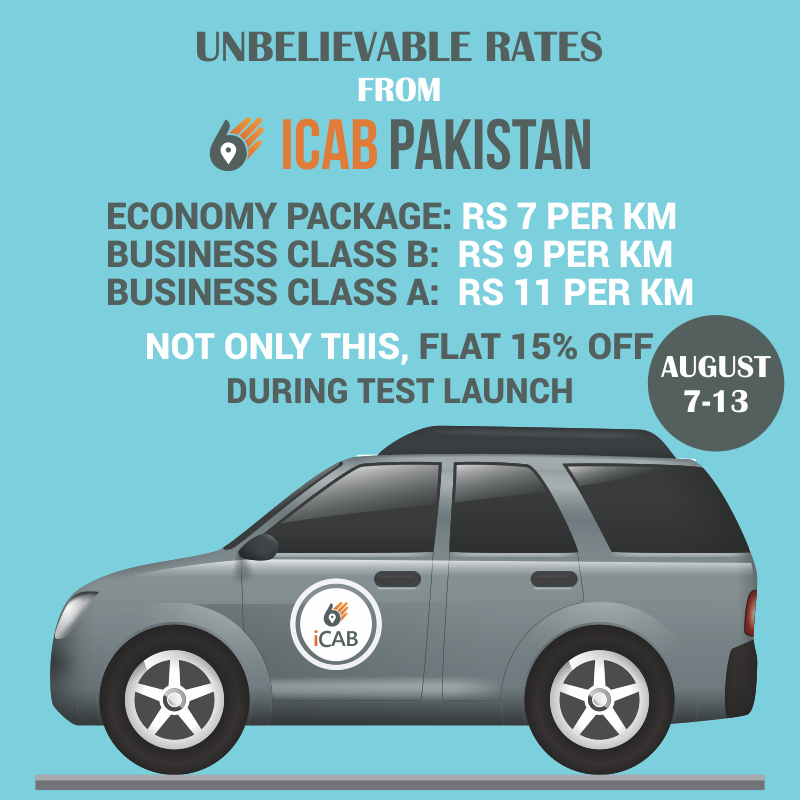 This is what iCAB Pakistan has picked and is believed to crack the market soon after its launch by giving a tough competition to its international competitors. iCAB Pakistan is uplifting the standard and services of yellow cabs and car owners to offer the public an exciting travel experience. The idea is to equip the car owners with the technology and train them according to the fast changing trends and technological advancements to use mobile apps for booking the rides and finding directions with a single click. iCAB Pakistan will boost the business of yellow cabs and car owners that has gone down substantially in the last one year due to the infiltration of private luxury cars on the roads as just cabs. Nadeem, who owns black cab service and provides services to passengers in Islamabad, is excited about iCAB Pakistan. He says "We, the car owners pay multiple fees throughout the year to the Government of Pakistan just for the sake of having taxi. 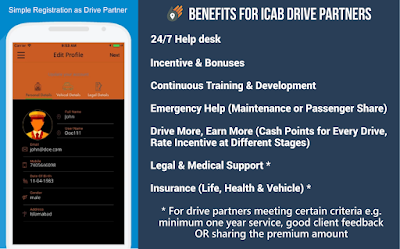 We pay inspection fee for cab after every six months and yearly token fees but in return we are not getting sufficient income despite our whole day long tough job; now iCAB Pakistan is a new hope for us". 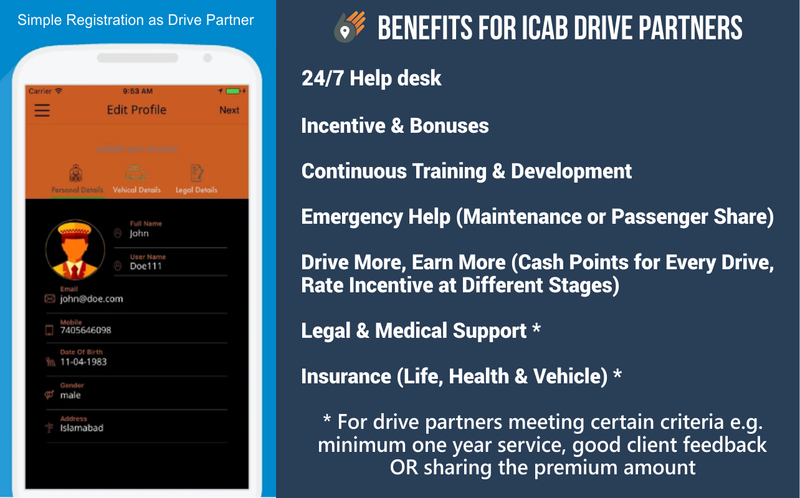 Main features of iCAB Pakistan are, comfortable, reliable and safe cab service with 24/7 transport services and helpdesk. Professionally trained drivers and other staff would be available to facilitate customers. Transport service will be according to the need of customer either AC or non AC. Continuous services improvement with client feedback. It offers medium to large different vehicles for any desired short or long journey within the city or on long routes. Emergency Medical Transfer service is specially designed for emergency situations with high roof vans as ambulance and trained staff to carry patients to medical centers and other locations or to facilitate patients’ routine travelling/ shifting. Pick and drop service is a big subject to be addressed and iCAB Pakistan brilliantly addressed it by providing safe, comfortable and luxurious pick & drop service to travel on regular basis to a particular location like office, business center, industrial area, airports and educational institution. Corporate Business Transfers is another landmark of iCAB Pakistan which will facilitate business and corporate passenger’s day to day travel, corporate events, meetings, parties, conferences, seminars, exhibitions and other business transfers with choice of cars. Parcel, Courier Delivery Service is an exciting service to ensure safe and timely delivery of different items including private, academic or confidential documents, ad agency proofs, lab samples, legal documents, vehicle parts or an electronic item from your favorite store within the same city limits. A lot of people faces problem in transferring and travelling with their pets because there is no such service which provides services to travel with pets. iCAB Pakistan resolved the issue by offering easy and safe pets transportation services. It also provides customized and decorative transport for special occasions like Weddings, Birthday celebrations, Field Trips, Picnics and Study Tours. Small to large transports are available as per requirement with trained staff to ensure your comfortable journey. Transport for Packaging & Moving is yet another exciting service for convenient and trouble free luggage shifting. Physically impaired and handicapped people of Pakistan faces serious difficulties while travelling, iCAB Pakistan has resolved this issue by offering special transport for handicapped and physically impaired people for regular or occasional visits with trained staff and customized vans (special seating and other arrangements). All the services described above are the landmarks of iCAB Pakistan. These distinct services make iCAB a different and state of the art cab service with no real competitor. iCAB is fully committed to facilitate people of all fields with excellent services. 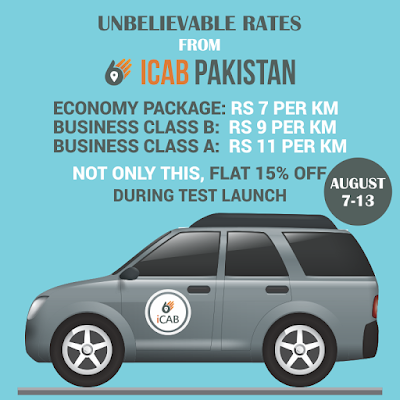 iCAB Pakistan is believed to hit the market like a storm as this is not only going to give relief to the taxi owners in the fast paced technology race, but also solves the problem of routine passengers from the hassle of bargain by introducing the same idea of fare calculation on distance (per km) basis by using an advanced app based technology. The professional grooming of drivers will economically empower them and raise their life style. An added advantage will be improved driving sense and reduced accidents since they will be continuously monitored. Public will also benefit with the improved cab service in a better and professional environment. Copyright 2019, Newskeduniya. All rights Reserved.